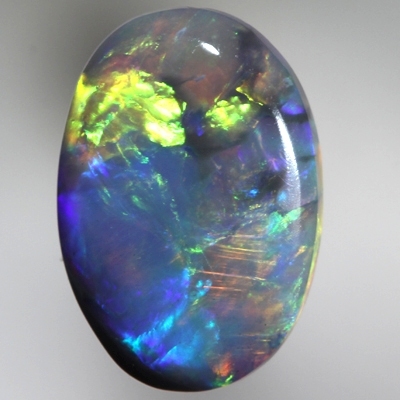 The fire in this opal is bright neon gold and neon turquoise with a touch of red and green, these colours move over a purple blue background. The colours move in rolling flashes over the face of the stone. Moving from the brightest neon gold to a beautiful neon turquoise, jumping from one to another as the opal is rotated. Fantastic in all light.